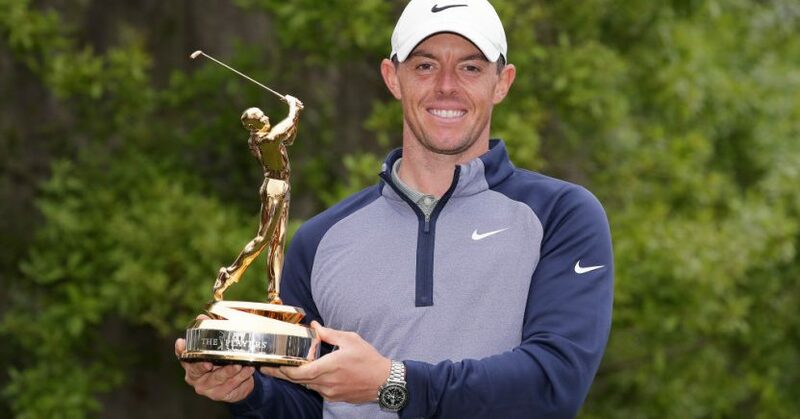 After a string of near misses in 2019, Rory McIlroy secured his first win in over a year when capturing the Players Championship, golf’s unofficial fifth major, with a thrilling performance in front of packed galleries at TPC Sawgrass. The 29-year-old from Northern Ireland, who had finished in the top six in all the tournaments he has played in 2019, chose St Patrick’s Day to end his run of disappointing Sundays, firing a final round 70 to win by a single shot from 48-year-old Jim Furyk. Playing behind Jon Rahm and Tommy Fleetwood in the second to last group, McIlroy won the title with both players – who closed with 76 and 73 respectively, still out on the course. McIlroy birdied two of the closing four holes after a bogey at the 14th threatened to trigger another tale of woe. This time there was a happy ending. McIlroy’s drive and approach to the treacherous 18th, was calmness personified and a two-putt from 15 feet was all that was needed to win the $2.2m first prize. Runner-up Furyk finished strongly to put pressure on McIlroy, making a stunning birdie at the final hole to finish on 15 under, and set up a chance to become the tournament’s oldest winner. Eddie Pepperell finished tied third after a superb closing 66, which included seven birdies in the final 11 holes. The Englishman holed a 50-foot birdie putt on the par-three 17th to briefly join McIlroy in a tie for the lead, before the four-time major champion pulled clear with birdies on the 15th and 16th, and then parred his way in. McIlroy used a full bag of TaylorMade equipment to secure the win, including a M5 driver and fairway wood, a mixture of P790, P750 and P730 irons, Milled Grind wedges, a Spider X putter and TaylorMade’s TP5 golf ball.